Hedman's Suburban Florist proudly serves the Louisville area. We are family owned and operated. We are committed to offering only the finest floral arrangements and gifts, backed by service that is friendly and prompt. Because all of our customers are important, our professional staff is dedicated to making your experience a pleasant one. That is why we always go the extra mile to make your floral gift perfect. 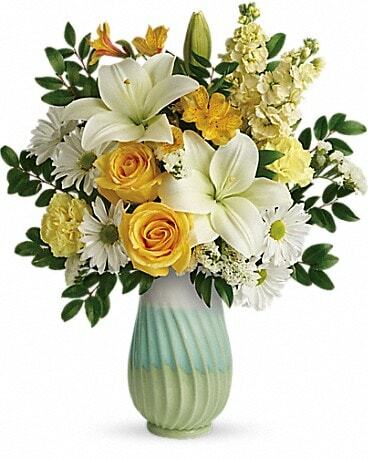 Let Hedman's Suburban Florist be your first choice for flowers. Our shop serves the following areas in Kentucky: Louisville, Shively, Valley Station and West Point. If you have any questions or need more information, please call us directly at (800)928-5725. We're always here to serve you and make your flower-sending experience a pleasure. 10014 Old Third St. Rd. U.S. orders must be received before 10:30 am in the recipient's time zone to assure same-day delivery. Orders received after that time will be delivered the following day. Photos on this website are to be used as a guide and may look different. Additionally, the substitution of certain keepsake items may be necessary due to increased demand, especially during major holidays. In single-flower arrangements, such as an all rose bouquet, we will make every attempt to match the flower type, but may substitute with another color.